Obviously we are all patients at some point in time, and that is where we develop empathy for our patients and can really step into their shoes. I wanted to share my most recent experience as a patient and how it's affected how I practice, and possibly can provide some clinical insight for your patients! I'm not a super "moley" (not a medical term, but commonly heard at my job) person, but I've always had 1 mole on each of my feet. I've never worried about them, but over this past year I started to think they were maybe getting a little larger, and then one of them in particular began to darken. Those are pretty typical signs of possible dysplasia (atypical changes) in pigmented lesions like moles. I had shown them to my supervising physician when I first started about a year ago, and she thought they were fine at the time. When I showed her this past week, her opinion had changed, which was what I was expecting. If I saw these moles on a patient, I would want to take them off. You have to be really careful with moles on the feet because they can be forgotten and due to the volar skin that is a little different, the characteristics you look for are slightly different. In dermatology, we use a tool called a dermatoscope, which is basically a magnifying glass with a light. Dermoscopy is very helpful, but if you are suspicious of a mole with the naked eye, the dermatoscope should really only confirm your suspicions and decision to biopsy. There pictures are of my moles (because I had to send them to all my friends from PA school of course). So here's the deal with moles and biopsies or removal. There are 2 types of biopsies. Both consist of numbing the area locally with a shot of lidocaine, usually with epinephrine. A shave biopsy is basically a razor blade that you bend to shave underneath the lesion. This is typically done for raised moles being removed or to biopsy possible skin cancers, among other various things. A punch biopsy is like using a cookie cutter to remove a portion of skin all the way down to the subcutaneous fat, which requires stitches. This gets the epidermis and the dermis, which provides a deeper sample. There are different sizes of punches, ranging from 2mm-8mm. These are done on any lesion suspected for melanoma or moles that are suspected to be atypical/skin cancers if you can remove the entire lesion. Everyone has different standards and there are some practices that do more punches or more shaves and may not agree with those standards, but those are my (very rough) guidelines. So for the size of my moles and the dark pigment, punch biopsies were the best option. I had about a week to think about how bad the shot was going to hurt, and honestly it was just as bad as I expected. There are so many nerves in your hands and feet, that a shot there is killer. And lidocaine burns like crazy. Then it feels very strange when your feet are numb. So we did the biopsies at lunch last Thursday, and luckily I didn't have to work on Friday. Here is a picture of my feet post-biopsy (sorry for the ugly foot pic). The white area around the stitches is the blanching from the numbing shot. I took a picture of the samples in the specimen bottles as well. Friday morning it felt like I had a chunk taken out of both of my feet, and they were extremely sore. I basically hobbled around all weekend and sat as much as possible. This process has made me very thankful for my feet, and I can't wait for them to feel like normal again. So here we are a week later, and only one of my biopsy sites is infected, even though I've been keeping them covered constantly, and both of my feet are still pretty sore. But of course, I've been working all week and that probably doesn't help. I feel like I have so much empathy for my patients now, and I know exactly what they are going through and how tender it is when I have to give them a numbing shot. I understand that it's difficult to relax while someone is cutting on you. I think it's helpful for patients to know that I've been through this as well and that I can relate. I'm a huge proponent of being honest with patients and letting them know that we go through the same things they do. 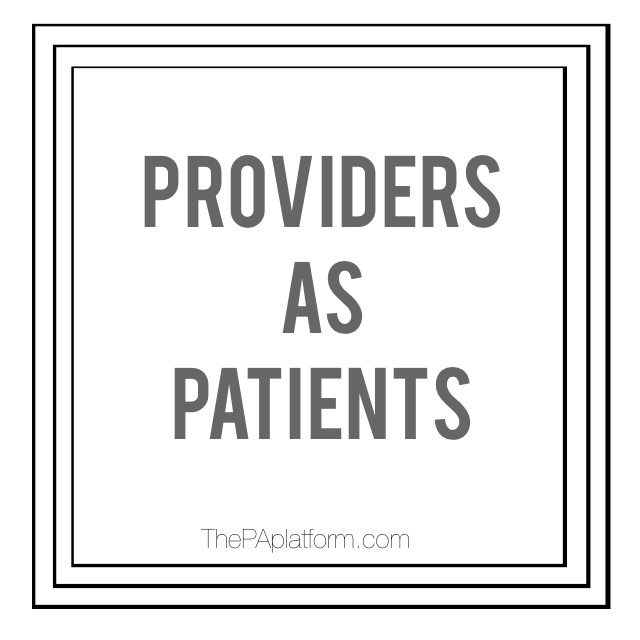 I think there is sometimes a stigma with providers, but we're all just people too. The shot does hurt pretty badly (especially on the foot), but it only lasts about 5 seconds. The biopsy site may be sore afterwards, but it's nothing ibuprofen or acetaminophen can't take care of. Don't try to pretend the shot doesn't hurt because it does. Just try to get it done as quickly as possible, and remind your patients to take deep breaths while you are injecting. And if you are injecting in such a sensitive area, you may want to recruit some help for keeping the patient still and ask the patient to try to not jerk with the needle stick. If you think a spot needs biopsied, be confident in that decision and either take it off yourself, or if you are not working in dermatology refer the patient to a dermatologist. 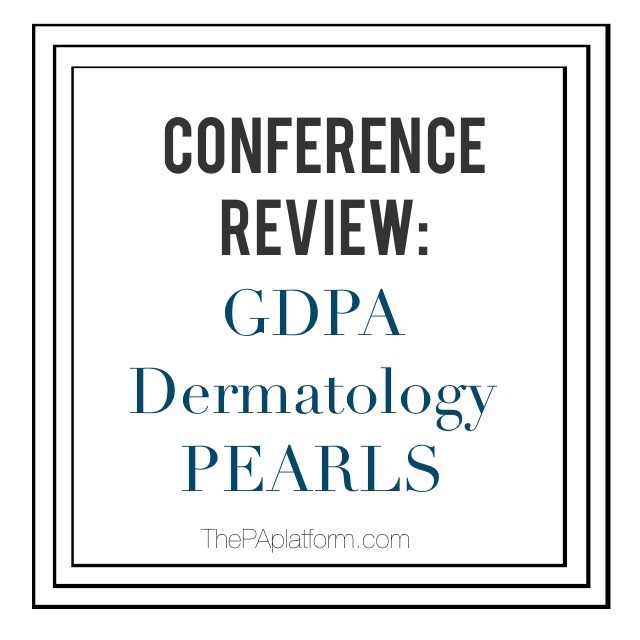 If you really think it may be atypical or malignant, it's probably best for it to be biopsied in a dermatology office because it's really helpful to see a lesion before it's messed with.